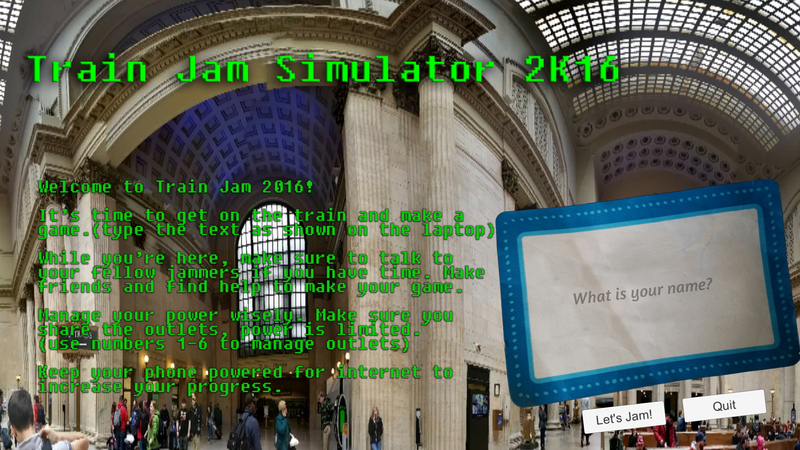 Train Jam Simulator 2K16 is a resource management - typing - dialogue game created for and about Train Jam 2016. The game is created using photography from the actual experience. Everything from the train, environments outside, and computers to the actual jammers themselves are from actual photos during the jam. We interviewed 20 real game developers from the Jam and included them in the game! See what kind of game you can make in 5 min. Use the keyboard to "program" the text shown on your laptop. Talk to your fellow jammers using multiple choice answers, and not only network and make friends, but also have a chance to gain team members to help develop your game further. Manage your team's power & outlets by using numbers 1-6. Keeping your phones charged gives you internet access, adding more progress. 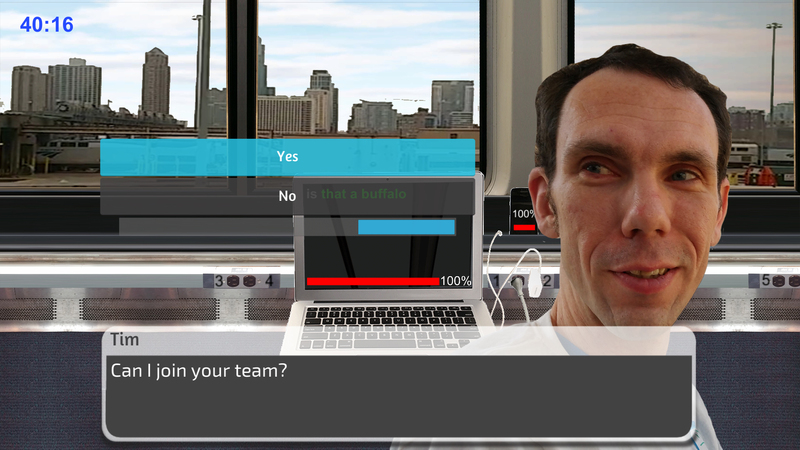 Keeping your computers powered gives you team member help (when you have it) allowing further progress as well. But if you use too many outlets at once you'll blow a fuse! So watch it and manage them wisely. Download it, install it, play it.